It’s a big NFC South showdown on Sunday afternoon as the New Orleans Saints take on the Atlanta Falcons in a battle of teams that are both 1-1. Both the Saints and the Falcons have playoff aspirations and believe that they are the team to beat in the South Division, so a victory here will go a long way toward helping to see those aspirations become reality. Last season, these two teams split the season series with Atlanta winning at home on December 7, 20-17, and New Orleans winning at home on December 24, 23-13. The Cleveland Browns were just 21 seconds away from sending their second straight game to overtime, however, Will Lutz hit a 44-yard field goal to give the New Orleans Saints a 21-18 victory. The teams traded a pair of field goals in the first quarter, and Cleveland would add a second field goal by Zane Gonzalez less than two minutes before the end of the first half to take a three-point lead. Cleveland what extend their lead to 9 when Carlos Hyde scored from one yard out. The point after attempt was messed. New Orleans responded with two touchdowns, courtesy of quarterback Drew Brees. The first was a two-yard strike to Michael Thomas in the second a five-yard connection with Thomas. The two-point conversion attempt was no good, giving the Saints a six-point lead. Cleveland quarterback Tyrod Taylor would tie the score when he found a wide open Antonio Callaway for 47 yards and a touchdown. The extra point was missed, tying the score at 18, setting up for the dramatic conclusion. With just 76 seconds left, Brees moved the team to the Cleveland 26. That is where Lutz connected on his second field goal of the game to give the New Orleans Saints to victory. Brees completed 80% of his passes, completing 28 of 35 tosses for 243 yards and two touchdowns. Thomas had 12 catches for 89 yards and two scores. The Atlanta Falcons jumped out to a 24-10 lead over the Carolina Panthers on Sunday then had to hold off a valiant fourth-quarter rally before prevailing, 31-24. After the teams traded field goals in the first quarter, Carolina would jump out in front when quarterback Cam Newton found Jarius Wright for a 5-yard touchdown to give the Panthers a 10-3 lead. Atlanta would respond with 21 unanswered points. Matt Ryan tossed two touchdown passes, one to Calvin Ridley for 11 yards and the other two Austin Hooper for eight, to give Atlanta the lead. Ryan then kept the ball on a one-yard touchdown run a little less than six minutes into the second half. It looks like the Falcons were in control, but Newton connected with Torrey Smith for a 3-yard touchdown to cut the deficit to seven. Ryan then scored on another quarterback keeper, this time from 8 yards out to extend the lead back to 14. With 2:20 left in the game, Newton found D.J. Moore for a 51-yard touchdown strike, his third touchdown pass of the game, but Carolina could get no closer. 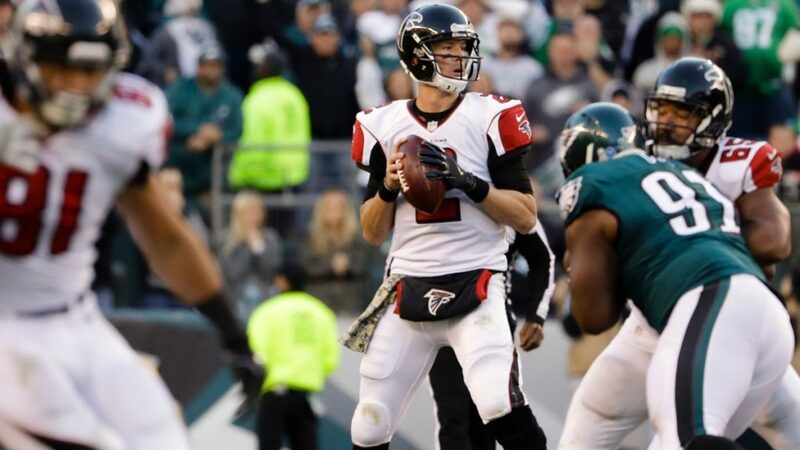 Matt Ryan was incredibly impressive on the day, completing 23 of 28 passes, a completion percentage of 82.1% while throwing two touchdowns. He also ran four times for 18 yards and two scores. Tevin Coleman rushed 16 times for 107 yards for the victorious Falcons. 14-5 ATS in their last 19 games on the road. 1-4 ATS in their last five games against NFC South opponents. 1-5 ATS in their last six games in September. 5-1 ATS in their last six games at home. 8-3 ATS in their last 11 gains in September. Statistically, these are two teams that are pretty evenly matched. New Orleans comes in at the 14th ranked offense with Atlanta following right behind them at 15th. However, the Saints come in with the No. 4 ranked defense while Atlanta is at No. 22. The home team has won nine of the last 13 meetings between these two teams against the spread and the total has gone under in seven of the last 11 meetings. Both teams are coming off impressive performances by their quarterback, so the defense may be the primary edge in this game. Because of how well these offenses played last week the conventional wisdom would be to go with the over, but the under has become the standard between the two. It is more likely to see this game and that something like 27-24, putting it slightly under.